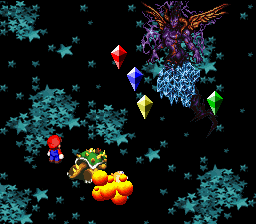 Blast is a common attack that enemies have in the later parts of Super Mario RPG: Legend of the Seven Stars. It deals average damage. The animation for Blast is a series of orange and yellow explosions that appear over the target. This page was last edited on April 9, 2019, at 16:16.